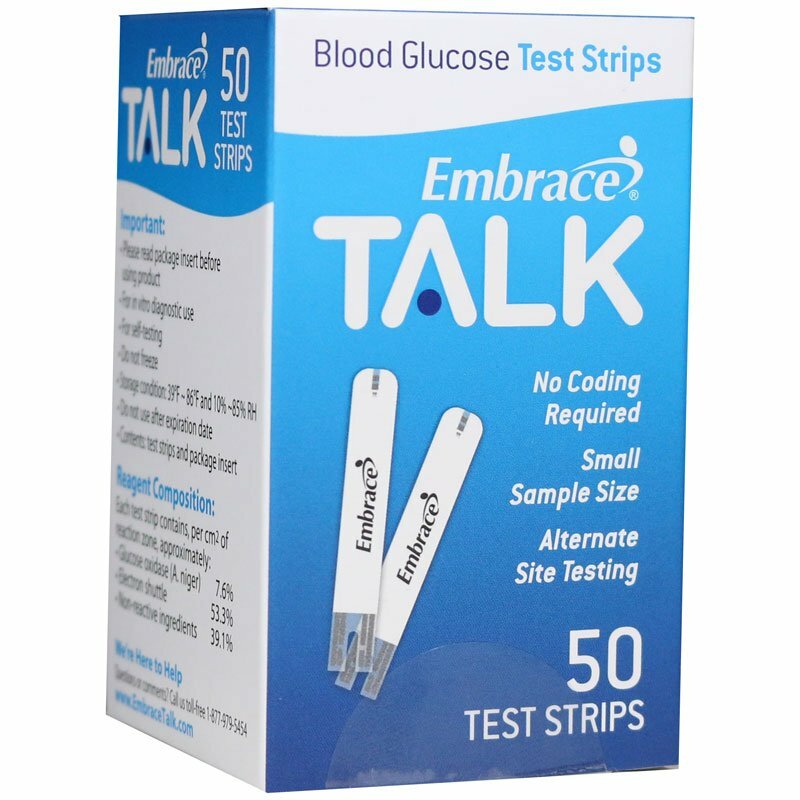 Embrace Talk glucose test strips are the newest diabetes testing product from Omnis Healthcare. These test strips require no coding and can work with both the original Embrace meter and the new Embrace Talk glucose meter. These strips are sold in a box of 50. Embrace Talk test strips have been designed to work with the Embrace blood glucose meter and the new Embrace Talk meter. These new strips from Omnis Health are designed to offer ease with your diabetes testing process. They have a 3-step verification process ensures accuracy with each test performed. 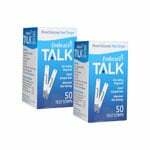 The new Embrace Talk test strips provide you with safety and convenience with your diabetes testing. These test strips require no coding and can work with both the original Embrace meter and the new Embrace Talk glucose meter. This package contains 50 test strips.